On Tuesday, an extensive collection of Stanley Kubrick memorabilia was auctioned in Torino, Italy, raising a total of €90,000. 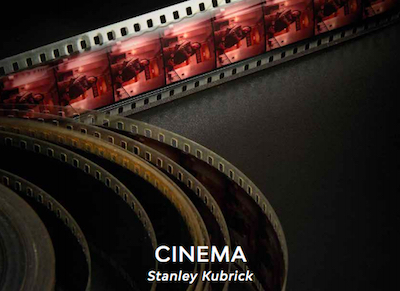 In its sale catalogue, the auction house describes the fifty-five lots as "the most important collection of material relating to the life and work of Stanley Kubrick ever offered at auction." 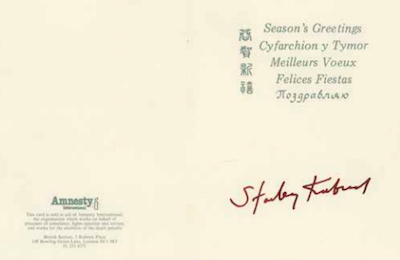 The auction included notes and other documents signed by Kubrick (such as an autographed Christmas card, similar to one I bought in 2006) and props from his later films. All items were given by Kubrick to Emilio D'Alessandro, his personal assistant, whose memoirs have been published in both Italian (Stanley Kubrick e me) and English (Stanley Kubrick and Me).